Although the various people who identify themselves as influenced by “liberation theology” differ on many issues, without exception they advocate for structural changes in society. There is good reason for this interest in structural change. If one takes seriously the injunction to heal the sick, feed the hungry, and in general to meet the real needs of people, it is clear that prayers, songs, good wishes and bake sales are not enough. The economic and social structures that allow some people to go hungry or to die from treatable diseases must be addressed. Even if one questions some of the specific strategies that proponents of liberation theology have recommended, their fundamental notion that genuine concern for people’s welfare requires doing politics seems irrefutable. Pious expressions of concern for the needy of the world without supporting a political agenda to get their needs met is mere sentimentality, and has no place in a serious faith. Putting an extra dollar in the collection plate for missions or making a small contribution to an agency that gives a bit of support to cute children who have found themselves in dire straits makes the contributor feel better. It might even be of some help to a few children. But if making such contributions diminshes the person’s motivation to address the real social, political and economic causes for suffering, then it does more harm than good. We have seen it argued elsewhere that we must maintain the separation of church and state if we are to create and protect a free society. (See, America's Religious Right -- Saints or Subversives? by Steve Weissman.) Does this not argue for keeping politics and religion entirely separate? We support those who question the political agenda of the religious right because it appears to be a serious threat to the creation of a free and democratic society. So aren’t we guilty of using a double standard if we support, at least in broad outline, activities inspired by Liberation Theology? Are all forms of religious political activity a threat to democracy? Indeed, is religion itself compatable with the vision of a free society? I would like to briefly explore these important questions before providing a few excerpts from the writings of some important proponents of Liberation Theology. Some interesting distinctions can be made between the ideology of the Religious Right and that of Liberation Theology. It is possible that these distinctions will prove to be instructive with regard to the criteria that we need to bring to our evaluation of ideologies in general. The Religious Right is highly motivated to impose its concepts of personal morality on everybody. The clearest example of this would be their repressive stance on homosexuality. In practice this means that the Religious Right would codify into secular law a wide array of “victimless crimes” – behaviors that are labeled as crimes because they violate religious tenets of purity or abstract notions of “right living” rather than because they do perceptible harm to unwilling victims. Liberation Theology does not recommend this kind of law. Victimless crimes are always in violation of the principles of a free society. The Religious Right is attempting to establish Christianity (undoubtedly an evangelical brand of it) as a state religion. Liberation Theology does not. To avoid the establishment of any religion as the preferred or official religious doctrine of the state is clearly the central meaning of the principle of the separation of the church and the state. Any form of theocracy is incompatible with a free society. The Religious Right attempts to enthrone a single, permanent, narrow life style on all citizens. Process Theology is committed to diversity. Openness to diversity is essential for the creation of a free society. The Religious Right is rule oriented. Its proponents wants to insure that all people obey what they believe to be rules handed down from God. 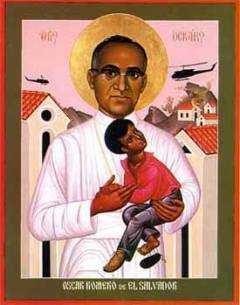 Liberation Theology is need, or welfare oriented. It wants to provide for the needs and welfare of all of God’s children. In this way one can say that Liberation Theology would impose its values on society just as the ideology of the Religious Right would. But one need not impose food on a hungry person, or needed medicine on a sick one, or education on a person who is hungering for knowledge. Making needed goods and services available to people, who are free to reject them, imposes nothing on anybody. The values that Liberation Theology would impose on society are not, therefore, in violation of the principles of a free society. The question that must be addressed to religious ideologies must be asked of every secular ideology as well. Is it compatible with the creation of a free and democratic society? As we have compared the theology of the Religious Right with Liberation Theology, perhaps we have identified four criteria that can be used to assess the validity of any ideology: 1. Does it advocate for the creation of victimless crimes? 2. Does it enshrine any single religion or ideology as the single acceptable world view for all citizens? 3. Is it open to diversity? 4. Does it provide for the basic needs of all its citizens? Some would claim that the fourth point is irrelevant to the idea of a free and democratic society. They would argue that a free society simply allows people to do as they please as much as possible, and that it is up to the individual to provide for his or her own health education and welfare. We can agree that the responsibility for taking advantage of opportunities and for deciding what to do with his or her life is up to the individual. But the freedom to think your own thoughts, express your own beliefs and choose your own life-style is meaningless if you do not have enough to eat, if you have no way to heat your house, if you are sick and have no access to medical treatment, and if you have no way to secure an education. One could argue that both of the major contenders for ideological supremacy during the 20th century – Communism and Capitalism – were incompatible with the concept of a free society. At least as they were practiced, they both concentrated real power at the apex of huge bureaucracies that controlled all of life. Neither Capitalism nor Communism allowed for bottom up control within their dominant bureaucracies. Perhaps the challenge of the new century is to create or evolve political and economic systems that accomplish three tasks: 1. Allow for real participatory (bottom-up) control of the major bureaucracies that dominate society. 2. Provide for the basic material, health, education and welfare needs of all citizens in an equitable manner. 3. Protect the civil liberties of all citizens. As is true of any ideology, Liberation Theology is not the final word. But it does have an important contribution to make to the dialog that hopfully will lead us to the goal of creating a democratic, free, and caring global society. The following selections should serve to give some sense of its richness and its relevance to the questions that we will be facing in this new century. Some Christologies claim to be apolitical. They offer us a Christ who “has” power but does not exercise it, and who never takes sides. They are simply ways of concealing the fact that an option for one side has already been made. The newer political Christologies are ways of stripping the mask off these allegedly apolitical Christs and revealing their true countenance. Hugo Assmann, “The Power of Christ in History: Conflicting Christologies and Discernment” from Frontiers of Theology in Latin America, edited by Rosino Gibellini, translated by John Drury, Orbis Books, Maryknoll, New York, 1979. At about eleven o’clock on Saturday night, there was a knock at the door, followed by a muffled conversation. A couple of minutes later Damos Echeverria went out into the darkness, hands clutching a rifle. Contra troops had been reported in the area, and Damos, along with other local militia members, had to defend the town against possible attack. We were after all, in the middle of a war zone. So the hands of Davos Echeverria were ready to pull the trigger on that rifle and inflict death if necessary, so that his seven children might continue living. The next morning during mass at the Paiwas parish Church of Christ the King, I saw those same hands sign the cross on the foreheads of children, and then - as the parish’s minister of baptism - Damos Echeverria used his hands to pour water on their heads, administering the sacrament of baptism, a sign of the bestowal of new life in the midst of a world of death. I could not help reflecting that if my government had not been funding the contras, Damos Echeverria would not have had to train his hands to destroy life but could have devoted them exclusively to the bestowing of new life. ...A year after our visit, on the morning of December 2, 1987, Carmen Mendieta climbed into the back of a flatbed truck to go to Rio Blanco, fifteen miles away, to purchase electrical wire for the child-care center then under construction. On the way, the truck hit a Claymore mine, after which the contras sent a grenade through the windshield of the immobilized vehicle with enough force to kill Carmen and two other women sitting with her in the back of the truck. ...Two days ago, as I write this, I was on the spot in the University of Central America in San Salvador where six Jesuits, including Ignacio Ellacuria, their housekeep, and her daughter, were murdered by units of the Salvadoran military... As the killers were moving the body, they dislodged one of the books in the bookcase, which fell to the floor and was saturated with the martyr’s blood. In the morning it was discovered that the book was Jorgen Moltmann’s The Crucified God. That symbolism still overpowers me. Yes, in Jesus of Nazareth, God too was “crucified,” living out the fullness of human reality right up to the very nailprints. That we know by observation. But we also know, by faith, that the “crucified God” is also the “resurrected God.” Which says at least that just as the crucified God was with the Jesuits in their death, so the Jesuits are with the resurrected God in their rising from the dead. That is the light of faith that sustains in the time of darkness, when faith is tested to the uttermost. Robert McAfee Brown, Liberation Theology, 1993, Westminster/John Knox Press, Louisville, Kentucky. For a long time, and still today in the case of many people, Latin American Christians displayed an almost total lack of concern for temporal tasks. They were subjected to a type of religious upbringing that viewed the “hereafter” as the locale of authentic life... On the surface it seemed to bear the hallmark of spiritual and religious traits, but in reality it stemmed from a seriously reductionist view of the gospel message... The gospel message was thus rendered as innocuous as a lap dog. From such a gospel the great and powerful of this world had little to fear and much to gain. Their support and backing of it was quickly forthcoming. ...But the existence of the poor... is not neutral on the political level or innocent of ethical implications. Poor people are by-products of the system under which we live and for which we are responisble... That is why the poverty of the poor is not a summons to alleviate their plight with acts of generosity but rather a compelling obligation to fashion an entirely different social order. The realm of politics today entails confrontations between different human groups, between social classes with opposing interests, and these confrontations are marked by varying levels of violence. The desire to be an “artisan of peace” not only does not excuse one from taking part in these conflicts; it actually compels one to take part in them if one wants to tackle them at their roots and get beyond them. It forces one to realize that there can be no peace without justice. This is a harsh insight, and it disturbs people who... with the best of good will, confuse or identify universal love with some fictitious harmony. But what does the gospel message command us to do? It tells us to love our enemies... The gospel does not say that we are not to have enemies; it says that we are not to exclude our enemies from our love. ...Viewed as the result of social injustice which is ultimately rooted in sin, poverty is now taken on insofar as it is a way of bearing witness against the evil it embodies... In this respect it is assumed for much the same reasons that Christ took on the sinful human condition and all its consequences... When it is lived in authentic imitation of Christ, the witness of poverty does not alienate us from the world at all. ...Only through concrete acts of love and solidarity can we effectively realize our encounter with the poor and the exploited and, through them, with Jesus Christ. To give to them is to say yes to Christ; to refuse them is to reject Christ (Matt. 25:31-46). Gustavo Gutierrez, “Liberation Praxis and Christian Faith” from Frontiers of Theology in Latin America, edited by Rosino Gibellini, translated by John Drury, Orbis Books, Maryknoll, New York, 1979. Under the present circumstances in Latin America we see that we cannot feed, or clothe, or house the majorities. Those who hold power constitute an economic minority which dominates political, cultural, and military power, and, unfortunately, also ecclesiastical power in the countries in which the Church has temporal goods. This minority will not make decisions opposed to its own interests... The power must be taken for the majorities’ part so that structural, economic, social, and political reforms benefiting these majorities may be realized. This is called revolution, and if it is necessary in order to fulfill love for one’s neighbor, then it is necessary for a Christian to be revolutionary. Camilo Torres, Revolutionary Writings, quoted in the radical bible, adapted by John Eagleson and Philip Scharper from bibel provokativ, edited by Hellmut Haug and Jurgen Rump, translated by Erika J. Papp, 1972, Orbis Books, Maryknoll, New York. Edward Cleary ...a number of young activists and university students in Bolivia started guerrilla activity designed to bring down the government, in Teoponte, a village in the Los Yungas region, near La Paz. Like Torres, a number of the guerrillas joined the movement out of what they believed to be Christian motivation, convinced that revolution was the last recourse in working for a just society. Like Torres too, many of the guerrillas died in combat. ...When reflecting on the situation of institutionalized injustice in Latin America, the bishops at the Medelln conference agreed that the church had to choose sides. They chose the side of the poor and oppressed. Even though this would lead to the loss of support of the traditional elites, including the military, the conference participants felt that the commitment had to be made. It was, in their words, a gospel imperative. Moreover, a commitment to a horizontal, rather than a vertical, church, had to be made: during the days of Vatican II it had become clear that a communal ordering of the church was called for to bring it in line with the original mandate of Christ to his apostles. The methodology of the conference, of first presenting facts and then proceeding to scriptural and theological reflection, brought the bishops to a clear understanding of the necessity for change and commitment in a way that had never taken place before. ...The church did not consider what its proposed changes would mean to other political entities. And more seriously, it did not delineate a policy of dealing with the changing political environment, in which the military was becoming increasingly a major political force. The church and the military set themselves on collision course, and church navigators, with very few exceptions, did not foresee the shoals and suffering that lay ahead. ...the theology of liberation is by far the most influential and representative movement in Latin American religious thought. That is true for the historical Latin American Protestant churches as well as the Catholic Church. ...With Pius XI, the position of the church on socialism begins to shift. Pius perceives that socialism has changed in the forty years since Rerum Novarum. The communistic form must be rejected but there is a “mitigated socialism” that has some affinity with the principles of Christianity. Third World theologians today carry the argument further and argue that some forms of socialism have greater affinity to the principles of Christianity than do any other known forms of political economy. But Pius was not ready for that. Instead, he says, “No one can be at the same time a sincere Catholic and a true socialist.” Nonetheless, the ecclesiastical perception of socialism is changing. ...Theology of liberation is not the system of a single person, a Rahner or Tillich, a de Chardin or Barth; it is rather a cooperative effort of many. At least as a symbol, liberation theology represents Christianity well, for it is the joint effort of men and women of all skin colors working throughout the world on a common project which is aimed at building up a society of justice and love. Rather than competition, there is sharing of ideas. Liberation theologians know one another, respect one another, and promote their ideas. This is unusual at least in some parts of Latin America, where misanthropy is known to run high. Theology, thus seen, is a communal effort, confronting a common catastrophe. Edward L. Cleary, Crisis and Change: The Church in Latin America Today, Orbis Books, Maryknoll, New York, July 1985. ...The truth is that both sides [the Soviet Union and the United States] are lacking in proper respect for the self-determination of peoples: there have been military occupations; there have been atrocities. ...Meanwhile many people, especially young people and often the best of them, lose faith in democracy and turn to violence. Dom Helder Camara, Revolution Through Peace (originally Revolucio Dentro da Paz), edited by Ruth Nanda Anshen, translated from Portuguese by Amparo McLean, 1971, Harper & Row, New York. ...Salvation from the world, that touchstone dogma of Brazilian Protestantism - was it not in direct opposition to the Bible itself? Personal salvation cannot take place to the detriment of the world because humanity and the world belong to each other... Thus Saviors of souls were transformed into rebuilders of earth. ....The theology of liberation cannot rest content with remaining indifferent to life and the world. Isn’t the gospel message an account of the good news of the Incarnation? Doesn’t Christ’s life bear witness to God’s solidarity with human beings? There is no question of reducing faith to sociology. The primary assertion is that transcendence is concretely revealed both in the groaning cries for liberty and in the struggle against everything that oppresses people. Rubem Alves, “From Paradise to the Desert: Autobiographical Musings” from Frontiers of Theology in Latin America, edited by Rosino Gibellini, translated by John Drury, Orbis Books, Maryknoll, New York, 1979. –* The above excerpts were selected from the Liberation Theology site. The reader interested in learning more about Liberation Theology is encouraged to go to that site or to get some of the books listed in the citations.